Our son Raven is now 13. You’ll hardly ever see a photo of him as he hides from the camera. Yesterday I gave him a bowl of frosting to clean out and I had him! 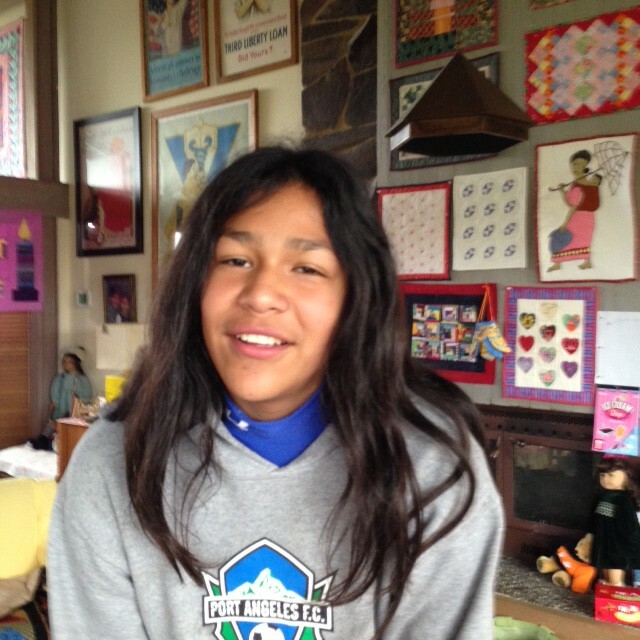 He is not actually Klallam, but Tlingit. However he and Seneca participate in the activities of the tribe in order to learn more their Native heritage. 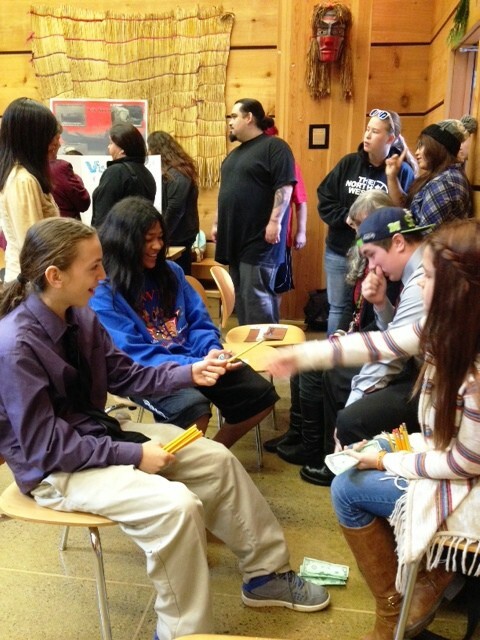 Raven is active in the After School Program of the Klallam tribe where kids have a chance to learn about Klallam culture, music and language, as well as get help with their school work and participate in activities of the tribe. Raven attends every day after school. 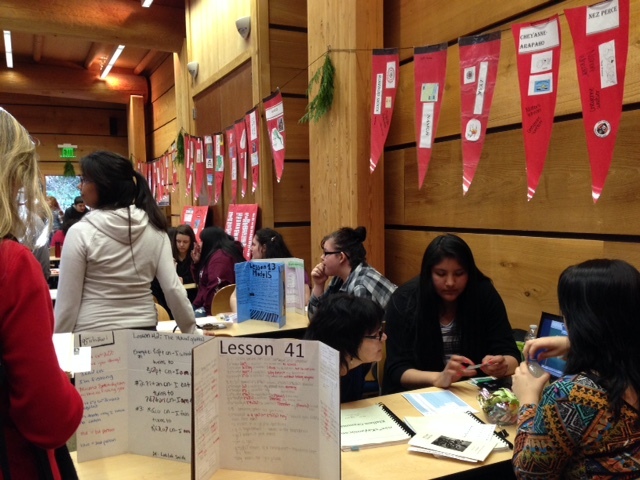 Last week an amazing Culture Fair was held at the Long House at Peninsula College, with the after school group from the high school and Raven’s group from the middle school. 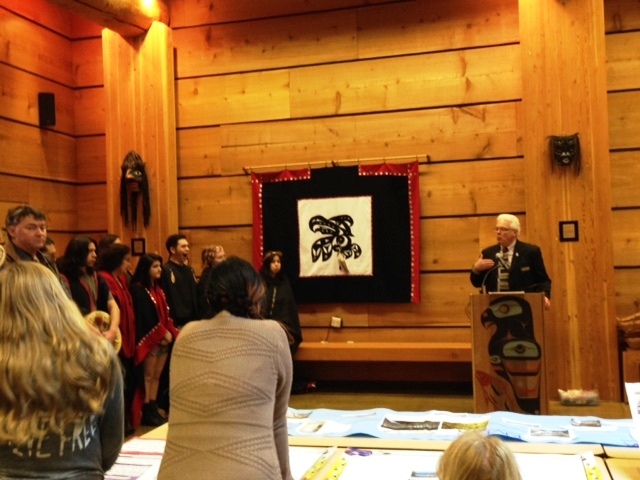 The President Peninsula College, Luke Robbins welcomed everyone, as did Frances Charles, tribal chairperson. 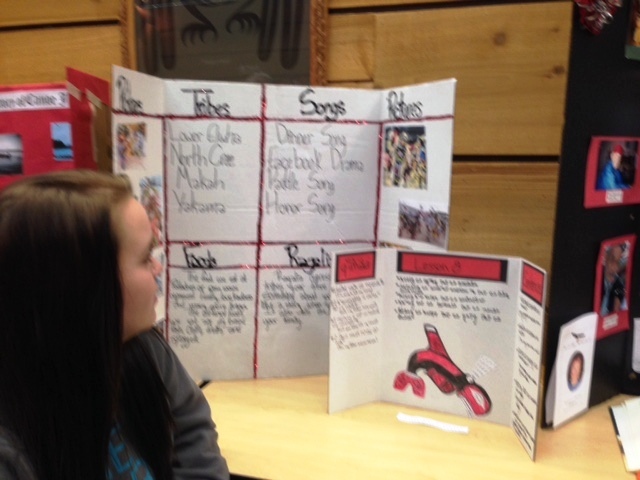 The displays presented by the students included posters telling the history of the tribes, about their music, medicine, language and native plants. 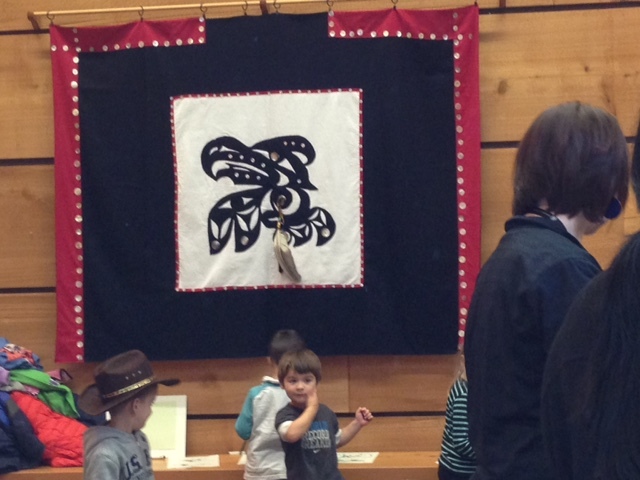 There were many activities offered such beading , and games such as tic tac toe played using the the Klallam language. 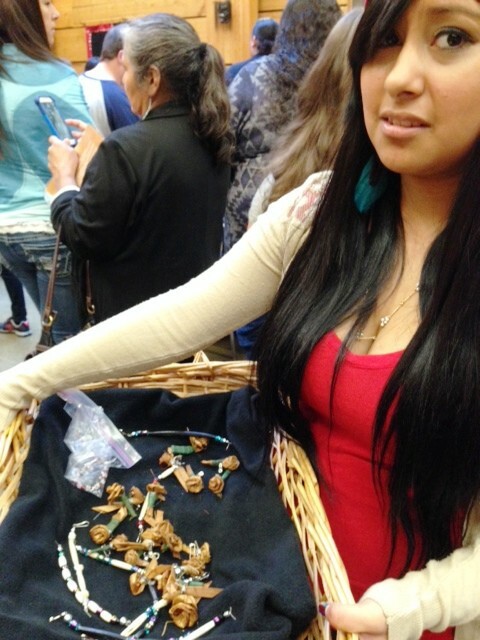 The Bone Game, a traditional gambling game, was demonstrated. And a traditional button blanket, make by the students was presented to the college. 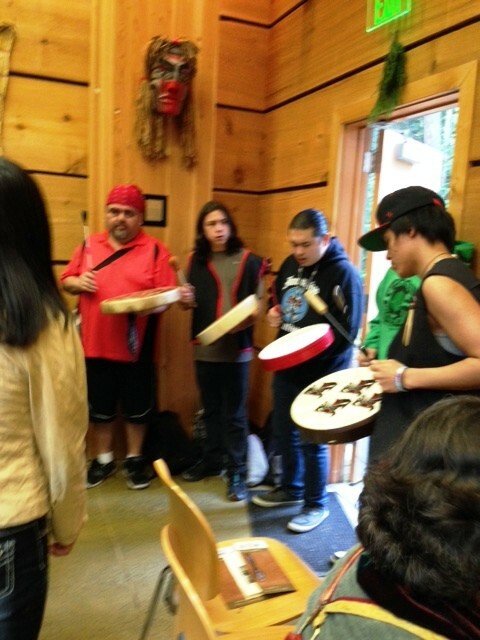 Klallam singers and drummers shared music. 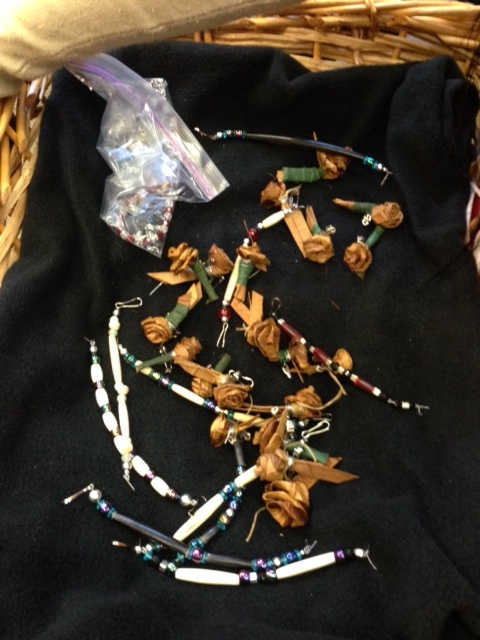 Then small traditional gifts, made by the students, were given. 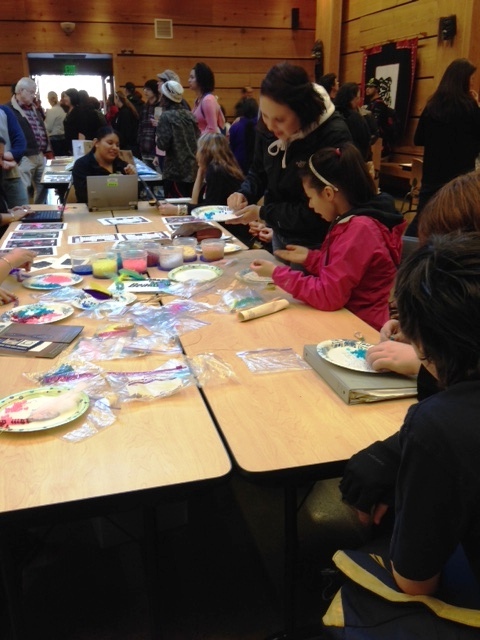 It was a great celebration and it gave the community a chance to learn more about this amazing culture. Here are Thea and Knox. 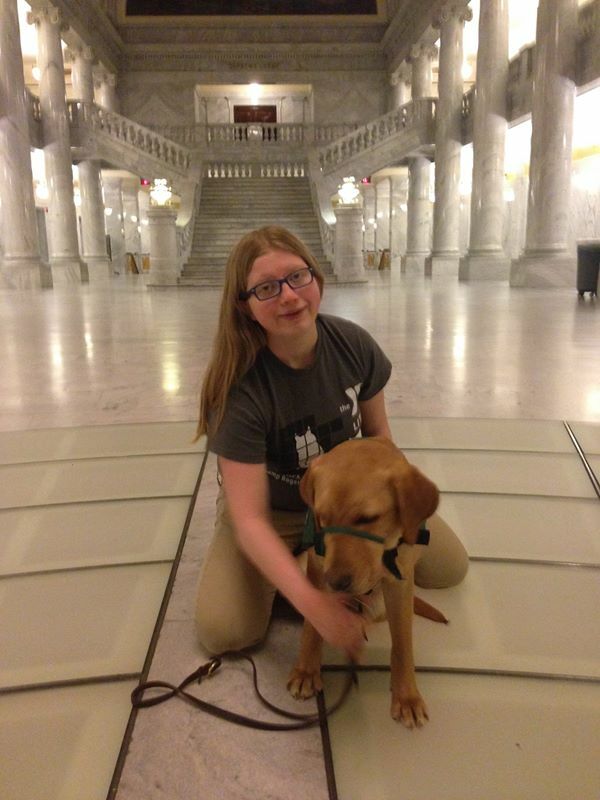 Thea is our 16 year old granddaughter and Knox is now a Seeing Eye dog through Guide Dogs for the Blind. Thea volunteered to raise Knox from puppyhood until he was ready to be trained. First she had to participate in a training program with is offered in her school. She learned that puppy trainers provide love and socialization to the puppies. Each year Guide Dogs for the Blind dog produces about 900 puppies which are placed with caretakers in the Western States. The puppies are born so that in June they have reached the age where they are ready to leave their mothers. Knox arrived at the Holcomb household ready to learn and the first thing he was taught was to relieve himself on demand. This is an important skill for a guide dog. Knox went to school with Thea in the fall, wearing his little harness. 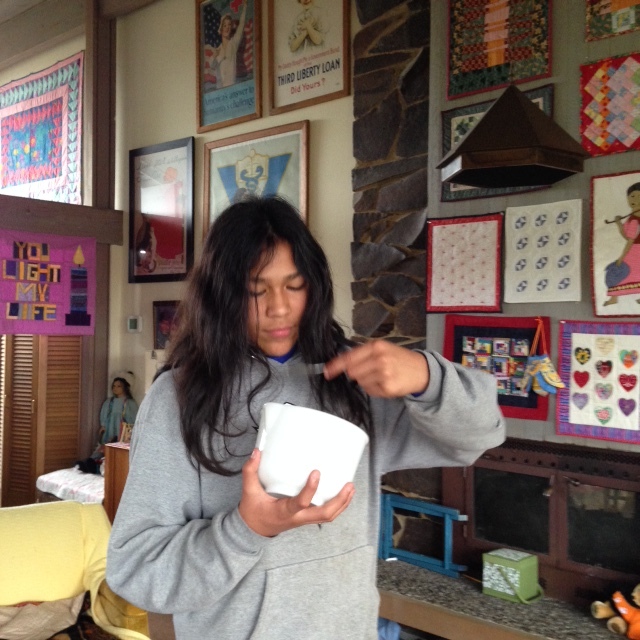 Thea met with other classmates and their dogs several times a week as training progressed. Guide Dogs for the Blind is a non-profit organization based in California. About 500 of the 900 dogs raised each year will actually be found suitable to work as guide dogs. Other dogs will be trained in other services or will become pets. Knox was an eager learner and his training progressed very well. Thea loved him, but knew that at the end of the year she would be faced with parting with him so that he could go on to actual guide dog training in California and eventually be assigned to a blind or visually impaired person. It was a sad and happy day when Knox was put back on the puppy truck for his return. Thea said, “It was exciting to realize he would go to do something fantastic that would change someone’s life.” Four months later he had received his training and it was time for him to graduate and to meet the person spend he would spend his life serving. Thea and her mother and sister flew to California for the graduation. After the ceremony they met this person, a visually impaired woman from Arizona. 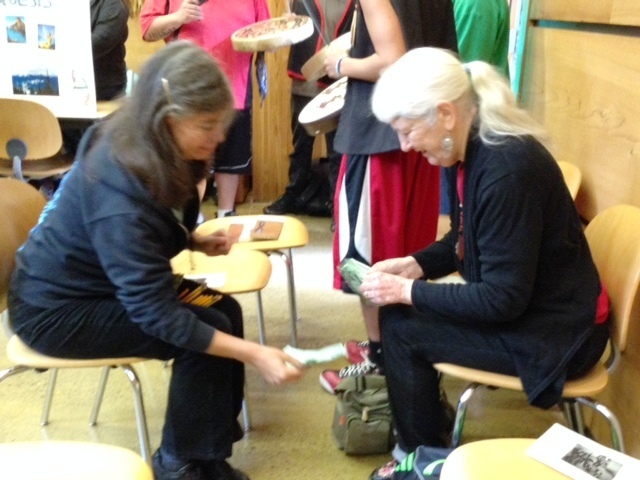 She felt especially lucky to meet Thea and to thank her. They went for a walk together and Thea was pleased to see Knox behave perfectly when guiding her across the street. Knox, of course, recognized Thea and was excited to see her but knew his duty was to assist his new partner. Thea is considering a career in guide dog training. It requires a college degree and a three year apprenticeship. Was this a good experience? 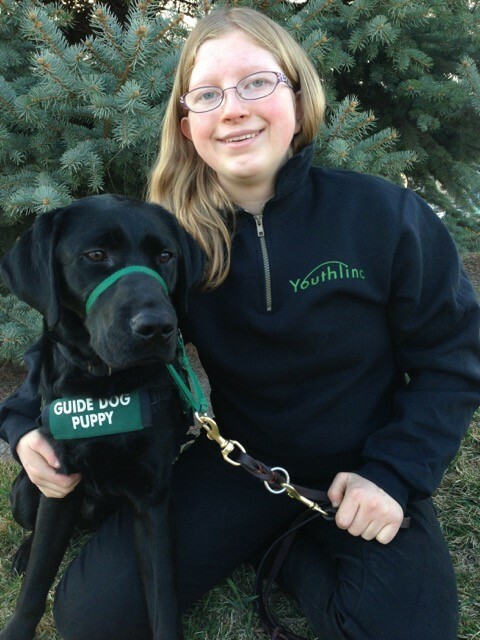 Yes, it was, Thea and her family are now involved with training a second dog, Odette!